I enjoy being with you.. I feel bored being with you. You force me to close the FaceBook window..
and ask me to go and study..
May be because of you..
You make everything around me fine..
You confuse all my plans..
You don’t let me go anywhere..
You don’t let me do what I want.. I may feel like crying.. This entry was posted by Sanjaya on May 18, 2010 at 10:28 pm, and is filed under English, Something to think. Follow any responses to this post through RSS 2.0.You can leave a response or trackback from your own site. You can’t spend your time without “X”….. Someone who loves you always wishs your happy…. You should spend your time for them…. nice !! its really true !! මටත් හිතෙන්නෙ හොඳටම තෙමිලා වගේ මේ ළමයා…..
කවුද මේ අපි නොදන්න X නමැති පුද්ගලයා…..
i though, u thing over past but dear it is happed.now we can not change. we must have remembered past so valuable things was happened because those are very important to change our life to correct way as well as matter of fact was happened at the past,we must have forgotten because those are not important to our life. those things,we remember again and again our maid is gone wrong way therefore better thing is done, all the bad things was happened at the past is forgotten. Thank you all for your comments. Anyone can think in anyway. I appreciate all your imaginations. Well I’m going to say what this is all about. It’s not the thing what all of you have thought of. However it’s still open for any one to talk about what you think of this Free Verse. 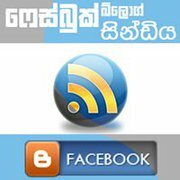 අනේ අපරාදෙ කියන්න බැහැ…. මට නම් ඔහොම හිතුනේ නැහැ… අර කලින් කට්ටිය කිව්ව වගේ වැස්සට තෙමුන නිසා ලියන්න හිතෙන්න ඇති අපේ සංජයට…. මම මේකෙ සාහිත්‍යමය වශයෙන් කොච්චර අනර්ඝ නිර්මාණයක්ද නම් දන්නෙ නෑ. මොකද මම එච්චර ඉන්ග්‍රීසි නිසඳැස් කියෝල නැති නිසා, නමුත් මේ වාක්‍ය ටික නම් නියමයි…. aah….ape Sanjaya kala karayek wela ne aa….. niyamai Sanjaya….carry on..
Mata ehema loku hekiyawak nehe. Nikan hithuna liwwa….